Camp MJC: February Jane Parade! Matilda Jane is BACK, baby! And it's a brand new season! Spring 2018 is officially available, and officially adorable. Our new season's name is Camp MJC, and it's full of scouting, camping, and outdoorsy themes with (of course) a girly twist. For sizing reference, I am 5'5" and typically wear a size 4/6 or a Small/XS in Matilda Jane. If a piece is not the size I'd chose for myself (I don't get to chose my sample sizes) and it's pinned, I will say so. First up? My new faaaavorite dress, that should be in every lady's closet. The Discovery Dress! This beauty is super soft and comfy, in a simple flattering cut (that MJ is calling women's first lap dress!) in everyone's favorite - slimming black. As expected, this one is selling out FAST - it's only available in XS-M now, and it's all low in inventory! I'm wearing the XS - it's a generous TTS. Meaning that you can get away with your typical size, but going slightly smaller might be a little more flattering on you - it was for me! 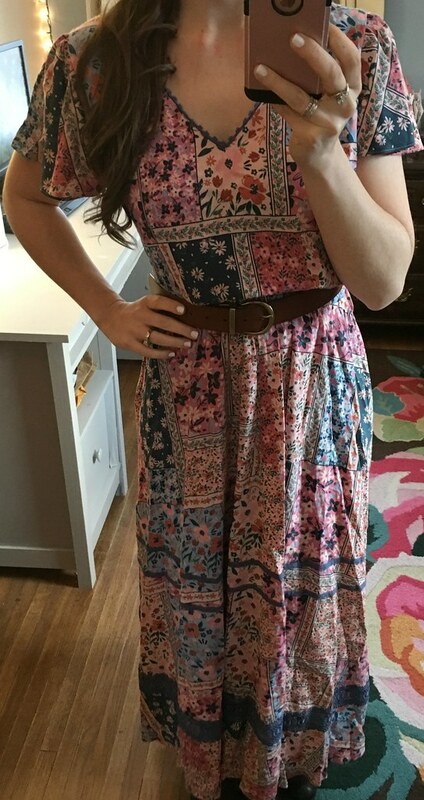 I wore this one to a wedding this past weekend, and it was super cute and comfortable all night long!! My next favorite is the Off The Grid Tee, which is this season's version of MJ's slim-fitting, tunic-length top that they've done in previous seasons. I'm wearing the medium in the above, and I think I'm sticking with it. It's a little big....but I like my tops to fit with a little flow. The green on our jacket this season is SO good! This is the Wilderness Jacket, which is our spring raincoat. It's got a girly flare shape to it, which makes it super cute with skinnies or leggings and rain boots. I love the gathered, layered seams! This top is actually from our tween line, but it's a total favorite!! It's the Pen Pals Top, and it's a super sweet and girly dressed up simple tee. This is the 12 sample on me, but I ordered the 14 for myself for a little extra length. It's low in 14 and 16 so if you want this to fit a women's size, order quickly!! The pink matches perfectly with the embroidery on our Scout's Honor Pant. These fit pretty typically similar to our Sandy pant, so I would order these in your typical MJ legging size. This is the Kookaburra Top and it's made out of our sheer swiss dot chiffon. It needs a cami under it, but it's a perfect top for a warm, breezy spring day. (Come on spring, I need ya!! lol) It runs a little on the small size....this is the Large, and I've pinned it to fit for photos, but even so, it didn't feel too big to begin with. So I would possibly size up on this one. The last few pieces I have to show are all dresses....two women's and one tween. It's called the Day Tripping Dress, and it does run a little on the big side. This is the medium sample on me, but it fits more like a large - I have it pinned for pictures. I love the bright blue fabric, and the flowy pleats down the front. This one is so cute with a pair of boots! 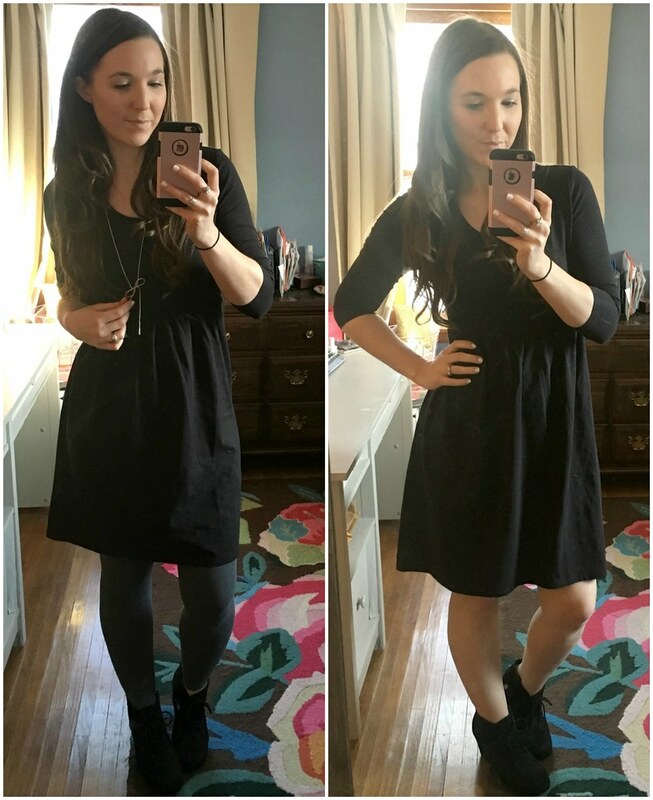 The last women's dress is a maxi, and it's a great length for an average height! MJ's maxis can sometimes be wildly long, but this one isn't! The Wildlife Maxi Dress is made of a flowy, cool fabric (rayon) with flirty cap sleeves and a gathered waist that makes me think of summertime. It's just missing some espadrilles and a trendy hat! There's a navy lace cutout towards the bottom that matches some of the blues from the girls line, too. My sample was 4 sizes too big, so this is pinned and belted like crazy - I'm sorry that I don't have great sizing help for you on this one!! The last dress I have to share with you is from the tween line - the Kumbaya Dress. This is a soft and comfy cotton dress with the muted green and pink stripes seen all over this line. It has fun bell sleeves, and makes a great tunic, too! I'm wearing the size 12 sample in the photos, but I would size up to a 14 for me. Always love your MJ parade! I ordered the black dress. I hope I got the best size for me! Now I'm seeing you in that peach top and feel I may need that as well! It's a good one!! :) :) YAY for getting the black dress - that one flew off the shelves like I knew it would!! Love to see you try on the samples! We’re similar in size so it helps a lot!! What size are you wearing in the wilderness jacket? Super cute! It's a small! It is super cute, isn't it?? :) I love it for spring! !